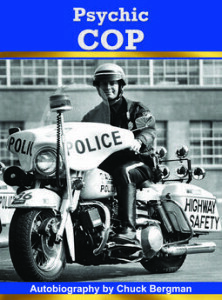 The Psychic Cop takes the reader into the world of one of America’s renowned mediums, Chuck Bergman. This book reveals his personal experiences from the moment of discovering he had the ability to communicate with spirits through the process of developing that gift. Chuck’s mediumship work with clients makes for fascinating reading and, more importantly, validates that there truly is life after death. –Robert Arena Clerk Magistrate, (Ret.) Essex County, MA. I have read this book and think it is excellent. If I hear someone say they aren’t sure of the afterlife then I suggest this book right away. This book was like the history of the subject afterlife. It taught you the about how different religions believe in the afterlife, and the scientific evidence that’s been collected. Very interesting if you have every questioned it. 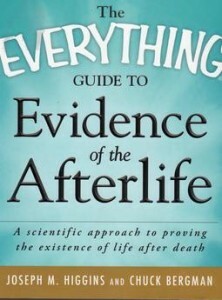 I thought The Everything Guide to Evidence of the Afterlife was amazing! I found the information on the evidence of the afterlife so interesting and written in a clear, easy to understand manner. I hope there are more books on the way! Can Quantum Physics Offer Proof of the Afterlife?